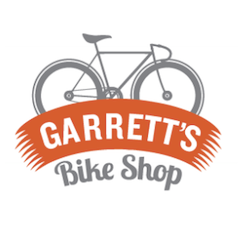 Maybe you’ve heard of Garrett McKenzie, owner of Garrett’s Bike Shop and the inspiration for many of LivePlan’s best features? Garrett is our go-to example of a LivePlan user. He’s been in business for nearly four years now, selling cycling products and services that he’s passionate about. Our development, design, and marketing teams think of him whenever they make a decision about LivePlan, and he’s one of our management teams’ closest friends. Garrett McKenzie is a user persona for LivePlan, invented by our vice president of product development, Josh Cochrane, and his team back in January 2010. Garrett’s creation has been a major asset to our company, and in celebration of Garrett’s upcoming fourth “birthday”, Josh wrote an excellent reflection on Garrett and user personas for the story-sharing site Medium. If you’re interested in developing a user persona for your own business, you should read Garrett’s full story.